Don’t you love traveling to new cities, falling in love with new restaurants, shops, and people, but then get kinda sad when it’s time to go back to your boring ol’ town? 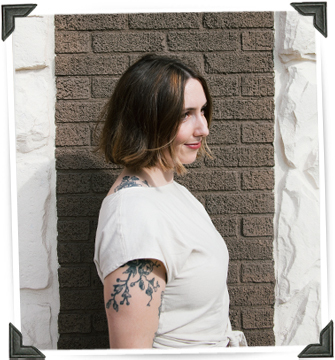 I used to feel like that in my early twenties, before I began branching out and meeting new people and places where I live in Northeast Ohio. Now I’m quite content traipsing about from Canton, to Akron, to Cleveland, and back. 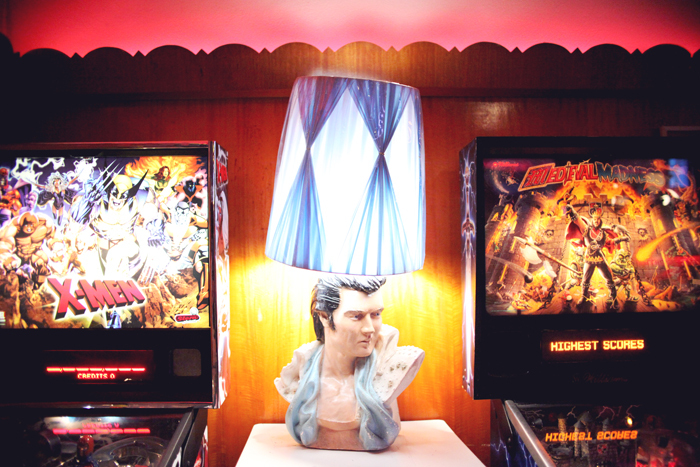 There are so many amazing places if you know where to look, and if your city’s like Cleveland, you have to know where to look— and often, that’s not downtown. 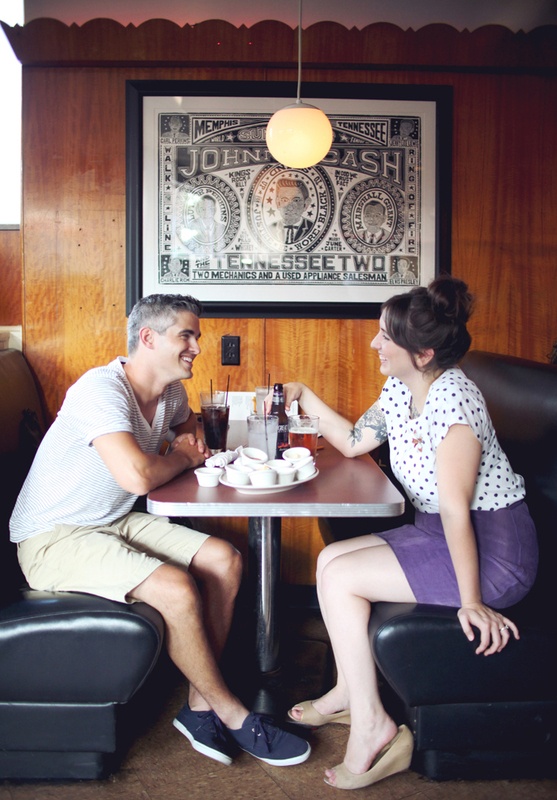 If you head west from downtown Cleveland and over the bridge, you’ll find yourself in a thriving part of the city, known as Ohio City, where there are a lot of great shops and restaurants. If you go a bit further, you’ll end up in the heart of a newly thriving corner of Cleveland known as the Gordon Square Arts District. In the summertime particularly, this neighborhood comes alive with an artful colliding of cultures, artists, music, and FOOD. And one place in particular manages to mash it all together so nicely. That place, my friends, is Happy Dog. Happy Dog is about as simple as it gets. 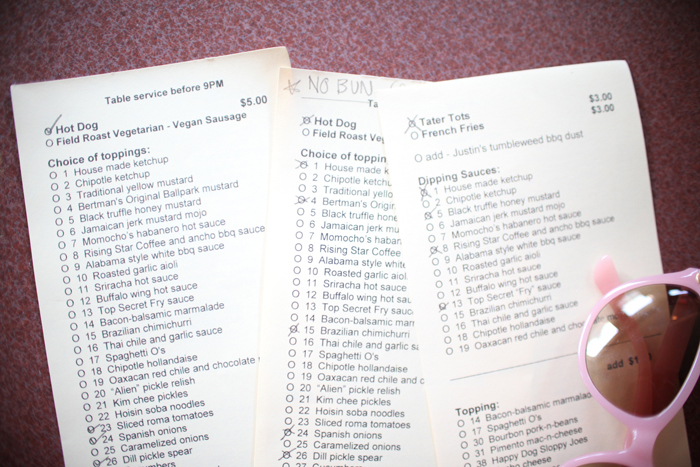 Its menu is all dogs, made locally from their own recipe, and even including a nice vegan sausage if you’re not into the whole meat thing. Dogs, tots, and fries are all you’ll find, but you may just be blown away by the long list of toppings and sauces you can pile on top. 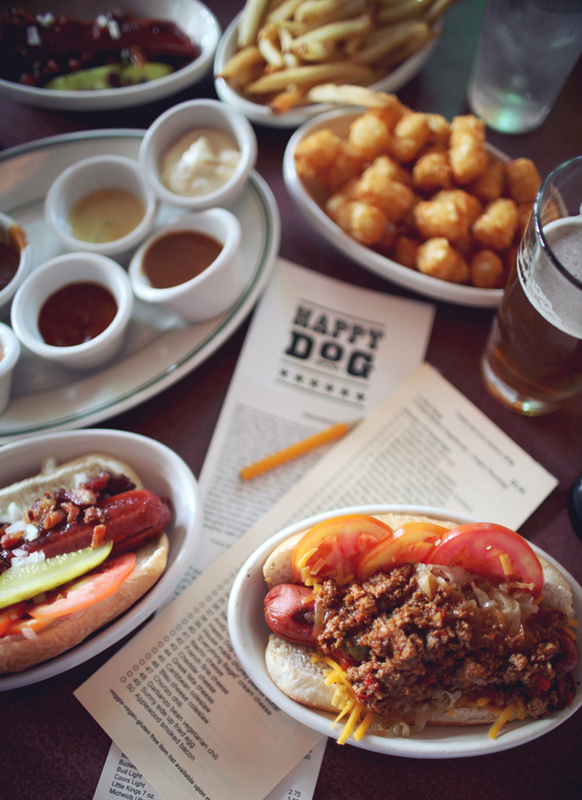 From silly toppings such as breakfast cereal and peanut butter to complex sauces like oaxacon red chili and chocolate mole, the beginning of the fun at Happy Dog is deciding what adventure your taste buds will experience this time. 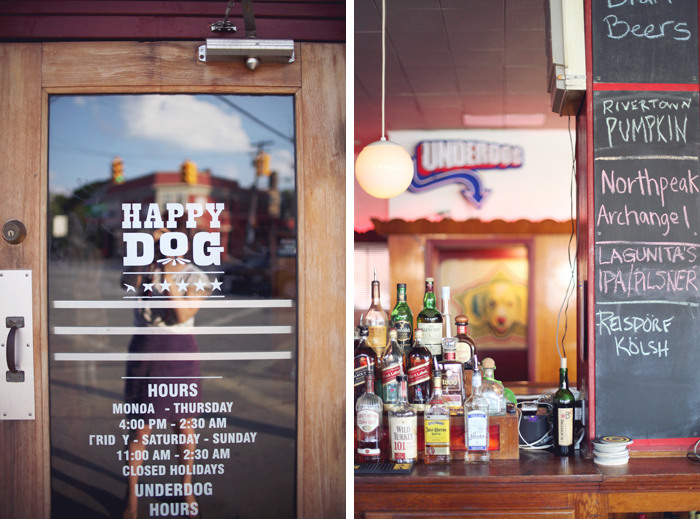 You just sit down, fill out your checklist of toppings, and order a drink while you wait for your dogs. The truly great thing about Happy Dog isn’t the delicious dogs, though. This restaurant truly captures the Cleveland vibe I’ve come to know and love since discovering more of the city. 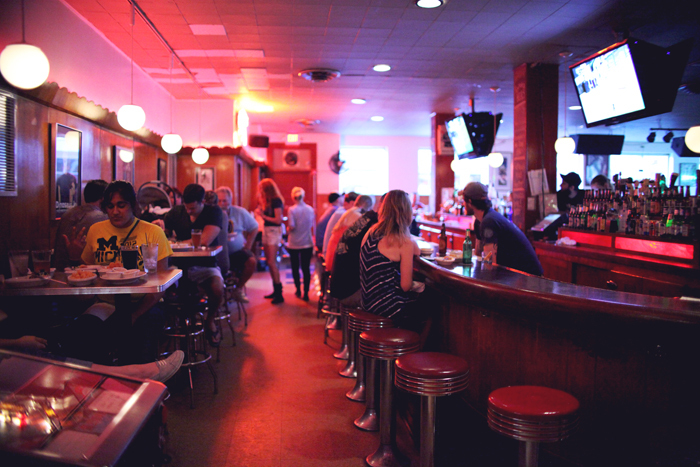 At first it comes across as just an old fashioned corner bar, but once you settle in, Happy Dog oozes a totally contemporary vibe with its casual atmosphere, craft beer, surprisingly diverse live music, and bustling atmosphere filled with locals of all ages and backgrounds. 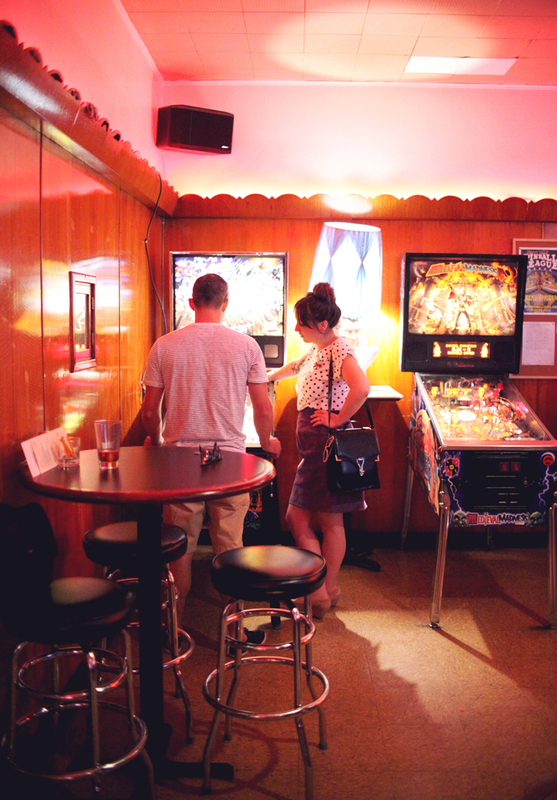 Fun is number one at Happy Dog, so be sure to bring a roll of quarters for the vintage arcade games, juke box, or for the game room/bar below, called Underdog. Yes, that’s right- they have a game room and even more bar space below! 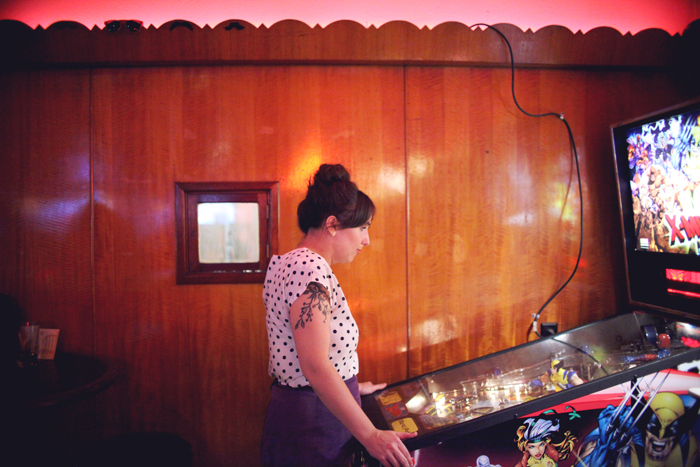 If you’re into old arcade games, Happy Dog will be an extra special treat. And their craft beer selection is pretty good too. Perfect place for a Friday night! 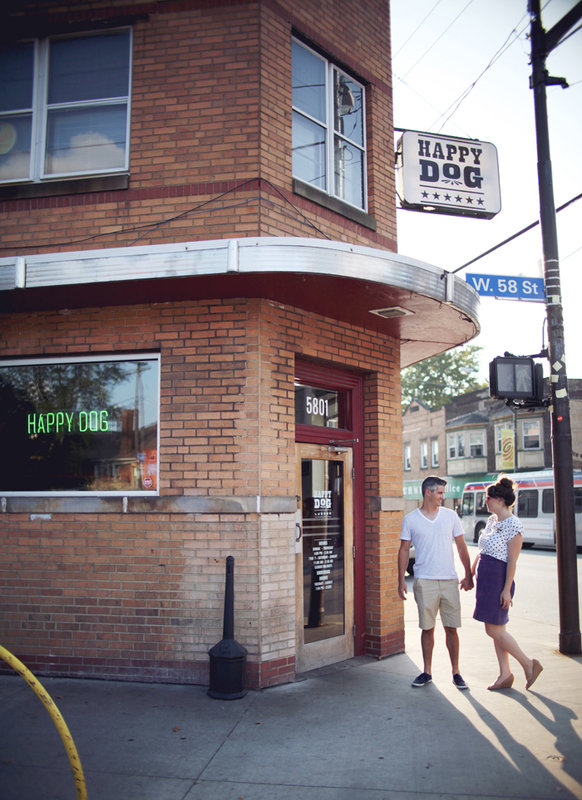 If you’re in the Cleveland area, be sure to head out to the Gordon Square neighborhood and enjoy a casual meal at Happy Dog! Get off X-Men and play Medieval Madness! Destroy the castle! Spaghettio’s on a hot dog? SOLD! That looks like such a fun place to be! I really want to start exploring my area and find fun places like this to eat at. I’ll have to prod my husband to be more adventurous! Ummm … this post just made me really hungry. For reals. This place looks SO FUN! If I’m ever in that area again, I’m definitely going to make a point to stop by! Your picture of the tots made me want some tots SO bad! 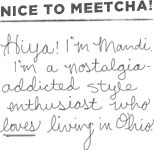 My sister went to Cleveland and loved Ohio City. I second the lovely Danielle! I love, love, love how you shine the brightest spotlight on my beloved Cleveland and the always awesome Akron/Canton area! Two thumbs waaaaaay up! Great post, lady… and even more amazing photography! Curious – do you bring your tripod and use a timer or does someone take these for you? I LOVE Lux! I really enjoy their bloody mary bar! It’s amazing. Thanks for the reminder— I need to drag Phil out there. He’s never been! This is a must-stop on our yearly trip to Cleveland for the super duper oh-so-amazing-and-inspiring Weapons of Mass Creation design/illustration festival (http://wmcfest.com). It’s just down the street from the fest and the entire neighborhood’s a 5-min taxi ride fr downtown. 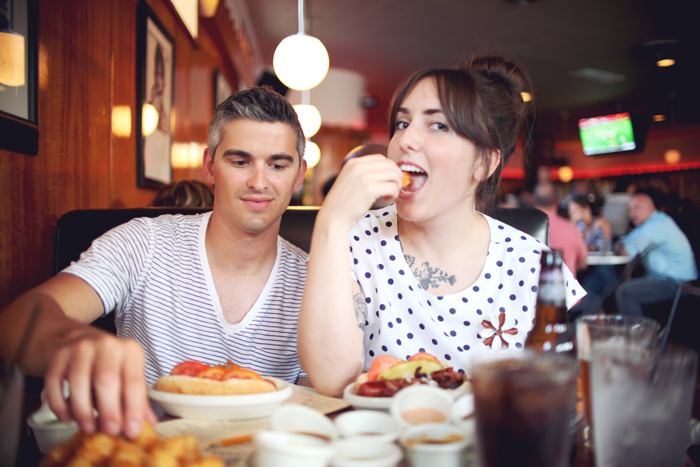 Cleveland’s got so much great food all over – go eat! Oh yes! I camp out at Happy Dog in between segments at WMC Fest. It’s always the perfect weekend! I hope this year the weather is as beautiful as last year! PS. We’re such huge fans of a nice dinner out on the Luxe patio – so chill with really great food and drinks – brunch there is heaven.